On Monday the lovely Anne and I headed to Rock Lobster Food Co. for the VERSAY Wine on tap launch party. It was pretty incredible besides the excellent food and company… I had no idea wine on tap could actually taste good. There were 8 wines available to taste but I have to say, as a red gal, the Washington blend had my heart from sip one. While all the wines were wonderful I really enjoyed that the reds were perfectly chilled, most people don’t know that red wine is supposed to be slightly chilled rather than room temperature so the change of pace was nice. Check me out with all my fancy wine knowledge like I know stuff about wine; I don’t but I know what I like and this was tasty. It was really nice to see Anne again she’s been in New York a lot lately and a lady date was exactly what I needed this week. With all kinds of work at the office, Boyfriend’s birthday to prep for, a new writing gig and some REALLY exciting news that I’m not quite allowed to tell you about yet, a night out with wine and lobster was exactly what my week needed. If you’ve never been to Rock Lobster I suggest you head there soon, it’s one of the hottest restaurants in the city and chef/owner Matt Pettit is as charming as he is talented. 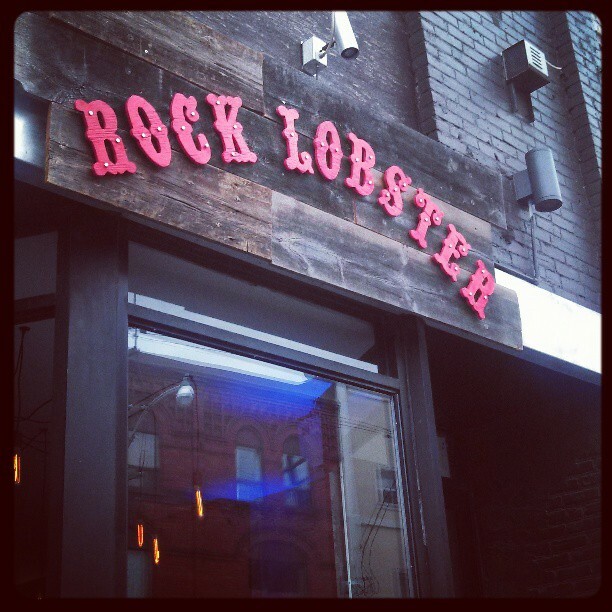 The first time I went to Rock Lobster was with the #BoyBestie and Daniel Bader and we attempted to try all of the items on the menu because no one liked the idea of missing out on anything. So next time you have a hot date or you need to catch up with a friend I suggest you head to the magical little sea shanty on Ossington and hey if you don’t really dig seafood (unfortunate) the flank steak is out of this world. 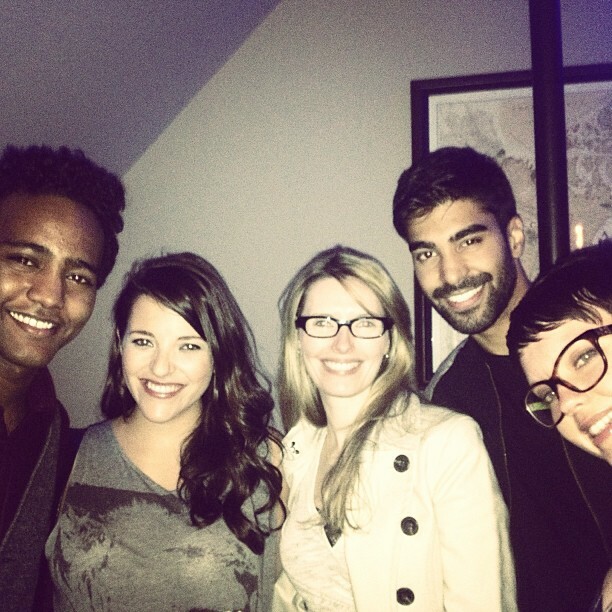 Also you might run into some of the Degrassi alum… at least Anne and I did.